When you are in need of an attorney, it is important to pick one that you can trust. You need an advocate that works to protect your rights, and doesn’t just look at you like another case number. The team at Leifer Law Firm treats every client with the respect they deserve. We are dedicated to each case and give every case, client, and situation individualized attention. Our team has the experience and resources to successfully resolve your personal injury case. You should never leave your personal injury case up to the insurance company. Insurance companies fight to protect their own interest and are not likely to offer you the compensation you deserve. The attorneys at Leifer Law will aggressively represent your rights to ensure you receive the best possible resolution for your case. We will work hard to get your to your medical bills paid, cover lost wages, and cope with pain and suffering. Our attorneys are here to help you and your loved ones recover, whether or not the insurance company wants to help. Our principal attorney, Corey Leifer, is a former Broward County prosecutor in . He knows the local system, their procedures and even their personnel. 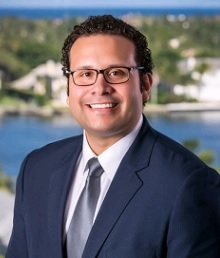 Leifer Law offers personalized representation and he will even visit his clients outside of the office to meet their needs. Whether you are at home, in the hospital or even at work, he will meet you where it is convenient for you. Mr. Leifer is licensed to practice law in New York and Florida. He is also admitted to practice in federal courts within the Southern District of Florida. Evening, weekends, and night appointments are always available to those who need it. There is no obligation and no cost to meet with the attorneys at Leifer Law Firm . We offer free consultations so you can get to know us and we can acquaint ourselves with your case. Leifer Law Firm has three convenient locations to meet with you. Our principle office in Boca Raton and by appointment in Fort Lauderdale or West Palm Beach satellite offices. We’re here to service you and if you cannot come to our office, we will come to you. Our attorneys also can help those who do not speak English. We have staff members who can speak Spanish and Portuguese and we offer translation services for those who speak other languages. Call our firm 24 hours a day, 7 days a week by dialing 561-660-9421 or dial us toll-free at 877-395-8055. We’re here for you, no matter what time of the day you need us.